In making the decision to file for divorce, an uncontested divorce may seem like the fastest and safest route to go. Uncontested divorces can be resolved quickly, provided there are no major disputes and the parties agree on certain issues. Even in these types of matters, it is a smart move to consult with an experienced divorce trusted attorney to ensure documents are filed properly and that your best interests are protected. 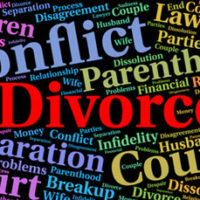 Both parties must consent to having the divorce handled as an uncontested matter. Provided they agree on all the above and the proper documents are filed, an uncontested divorce may be granted in as little as thirty days. Marital settlement agreements: It may make sense to divide property evenly, but your earning potential and any career or education sacrifices you made in support of your spouse should be considered before committing yourself to any agreements. A thorough inventory of all marital property is needed before signing, to uncover any hidden assets you may not be unaware of. Alimony: You may be tempted to waive your rights to alimony as a matter of pride or in an attempt to be conciliatory, but that additional income could help you get back on your feet financially once your divorce is final. If your earning potential is significantly lower than your spouse’s or there are pension benefits that were paid into during your marriage, alimony is something you should consider carefully. It is important to realize that in an uncontested divorce, there are no second chances. If you later regret the decision, you will be unable to appeal. If you are going through a separation or considering filing for divorce, contact the Vanessa L. Prieto Law Offices, LLC today. We act as a strong legal advocate to guide you in the best course of action, while ensuring your current and future needs are provided for.